If you’ve seen A&E’s “Intervention” show, you’ve seen an Intervention Specialist in action. If not, we’ll cover all the bases for you here. 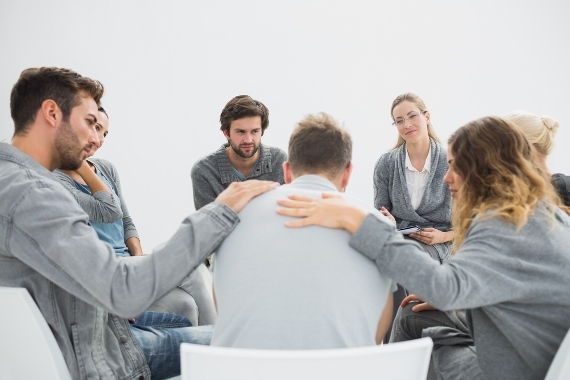 An intervention specialist is an addiction professional who is hired to help confront people who have alcohol and substance abuse issues, compulsive gambling disorders or other addiction issues. They are generally hired by the family, friends, co-workers or other loved ones of the addict when the “problem” becomes quite obvious and everyone is at the end of their rope and doesn’t know what else to do with the person. Intervention Specialists will help to organize a meeting (usually a surprise) with the addict to confront them and this may take many forms. Sometimes loved ones write letters that they read out loud. This addiction professional also provides education and support to families and the addict, giving them information about addiction, treatment options and much more. Interventions are not supposed to be coercive, hurtful or shame-based. Despite the misconceptions about interventions, they are not designed as “ambushes” or uncaring attacks. Rather, their sole purpose is to educate the individual and their loved ones about addiction and to move towards a goal of a return to healthy, productive living through recovery. Addiction Professionals) certification and/or a state recognized certification/license in a counseling related field. Have malpractice insurance, a minimum of $1,000,000/3,000,000. Successfully complete a minimum of 14 hours of training/education on intervention. Have a minimum of two years of work experience conducting interventions. Submit 3 peer evaluations and supervised practical experiences. Adhere to Board Registered Interventionist Code of Ethics. Passing an oral and/or written exam may be required. Must continue training by obtaining 5 continuing education credits per year. Intervention Specialist Salary may vary depending employer and location. Also, most of these jobs are independent contractor type positions, meaning that you would set up your own business to do this sort of work. However, the estimate for something like this is from $40,000 to about $60,000. I think that if you garner a good reputation in the industry, it could go much higher than this. Interventionists fill a unique role in the substance abuse industry and, in the past, a somewhat controversial one. There is always that debate about us having to “hit bottom” in order to get sober and some say that the Intervention Specialist flies in the face of that. I disagree. I think that they are very complimentary as there is nothing wrong with someone pointing out to me just how far down I have gone with my addiction and providing some education and Hope. I know quite a few people who have gotten sober, and stayed sober, after Interventions, and will tell you that they very much hit their own personal bottoms with those. If this is a career that interests you, it’s a noble one and there is plenty of need. Check out some of the websites online to get an idea for the market and even search for some job openings on our websites as some private companies do employ an Intervention Specialist.